Underwear is the greatest invention made by man. Many people claim that they are the inventors of the underwear. But as an historian, It is my duty to set historical precedence right so that the right person is honored. Varalaaru is remba mukkiyam amaicharey. 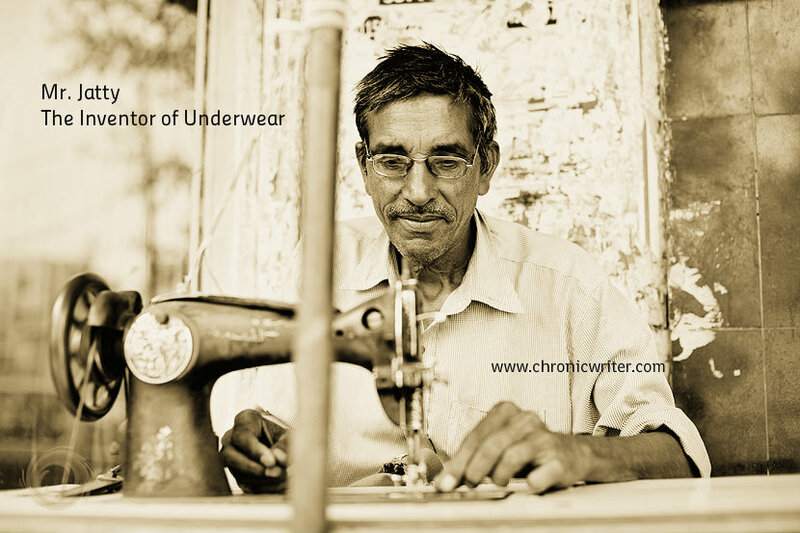 Underwear was invented by a Tamil man by the name,"Jatti". This is a 2000 year old picture unearthed by archaeologists. This picture shows Mr. Jatti stitching something using his sewing machine. Now as a critic, you would argue that photography was not invented during that time. For all the doubters, let me tell you that this is not a photograph. This is a painting drawn by Ms. Hemalatha Venkataraman who was a famous painter of that time. Some other critics might say that Sewing machines were invented only in 1790 by Thomas Saint. Such critics have no other job other than getting their brains conked up by reading some internet articles. Please do not believe all that you read online. Let us come back to Mr. Jatti. Jatti was a tailor and he lived very long ago. One day when he was stitching clothes, he saw a man running on the streets without any clothes. The naked man was shouting "Eureka, Eureka". A dog chased the naked man and bit his lollipop. Jatti ran to the biting scene and saved the naked man from the dog and treated him. He then stitched an undergarment for the naked man and that particular piece of clothing came to be called as "Jatti" (named after the inventor. Jatti is tamil for underwear). The naked man was none other than Archimedes. I am sure there will be hundreds of critics who will still not believe this post and will try to find loopholes in this post. But history cannot be repeated just for them.